We advocate a realistic and common sense approach to being better prepared for life’s emergencies, large and small. Whether it is a tornado that devastates the town or a heavy blizzard that brings everything to a halt for a few days, life has a way of throwing curve balls from time to time. We at Disaster Prep Consultants are here to teach you how to turn that curve ball into a home run! Disaster readiness is important for continuity of business operations as well as for individuals and families. Employees are the most important assets to any business. Companies make a long-term investment when they hire a new employee. If you add up the time and money it takes to hire, train, and get a new hire fully up to speed, replacing just one employee can cost thousands of dollars. By partnering with Disaster Prep Consultants, you can protect your investment by teaching your valued employees how to be safe in their off hours, ensuring they are ready when you need them. 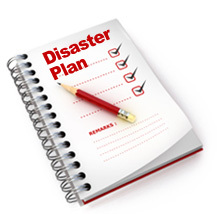 Business owners can rely upon Disaster Prep Consultants to assist them with creating disaster response plans as well. We can show you cost-effective ways to protect your employees as well as your physical assets in the event of a crisis. We also offer training to individuals and small groups. A class in building a vehicle survival kit consisting of items found around the home is a sure way to liven up the next Chamber of Commerce or Optimist Club meeting! Do you want to be better prepared for potential emergencies? Do you want to protect your most valuable investments? Contact us today to learn more about how Disaster Prep Consultants can help you achieve those goals and more!